Nowadays, you don't need to invest in an expensive camera for great photos. 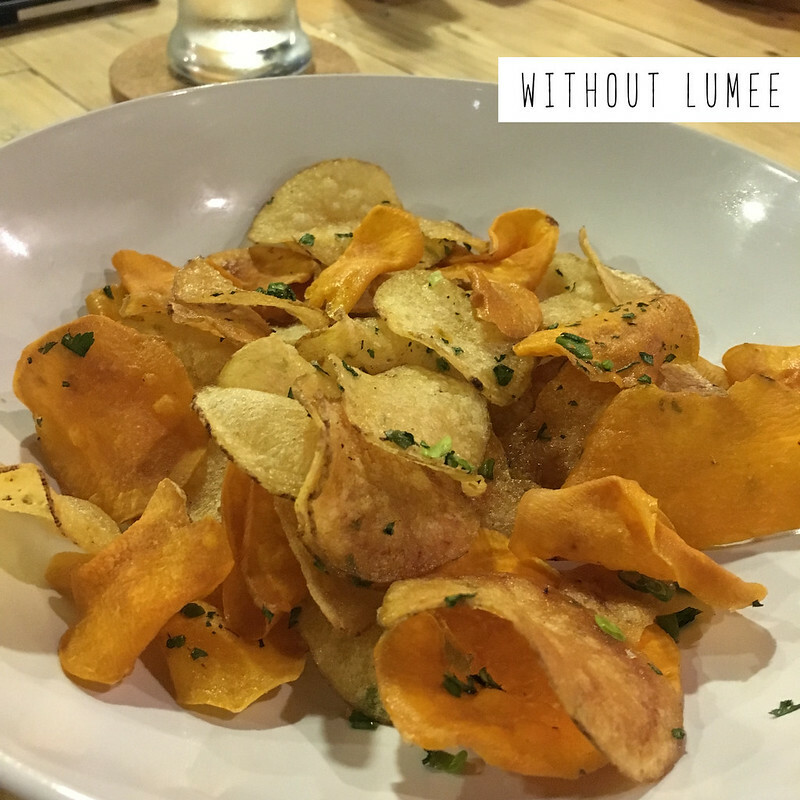 Our smartphones are very much capable of producing high quality, ig-worthy pics. Which often is the problem since we spend most of our time indoors, at malls, restaurants, concerts, events, etc. 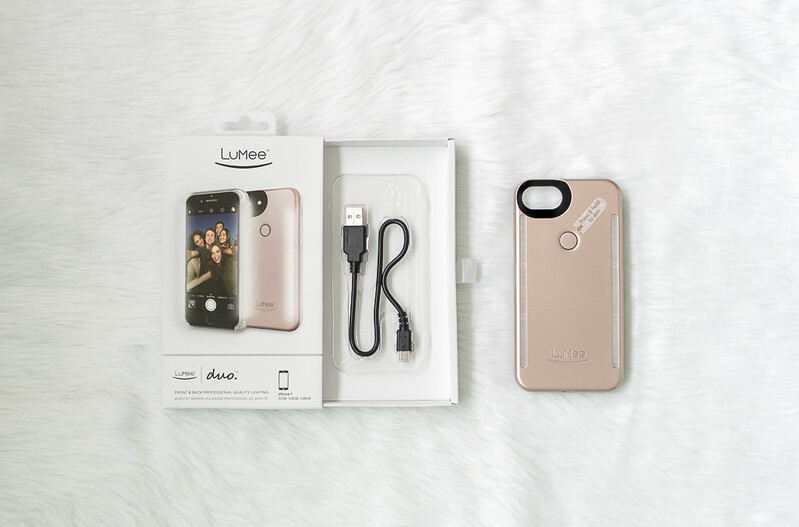 That's where the new Lumee Duo Case comes in. It's nothing like flash, it's so much better. Review + sample pics after the jump! 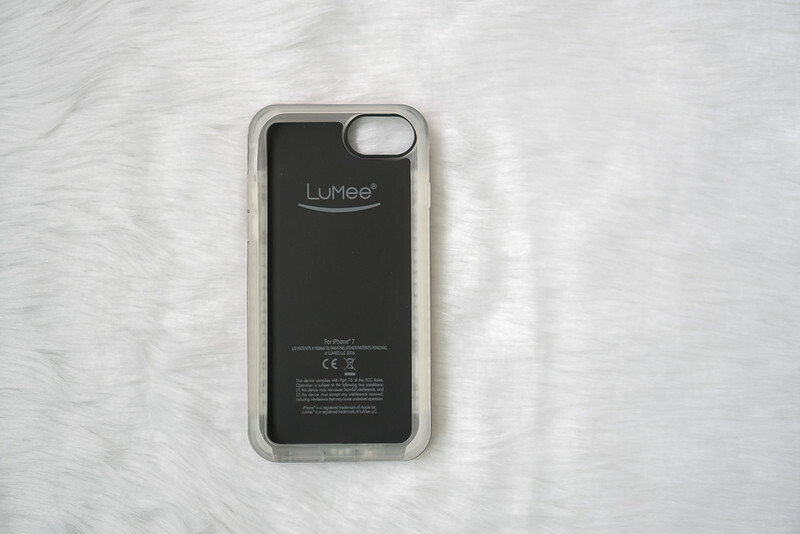 Unlike the old Lumee which only came with a front light, the new Lumee Duo case comes with both front and back lights. Why the emphasis on light? 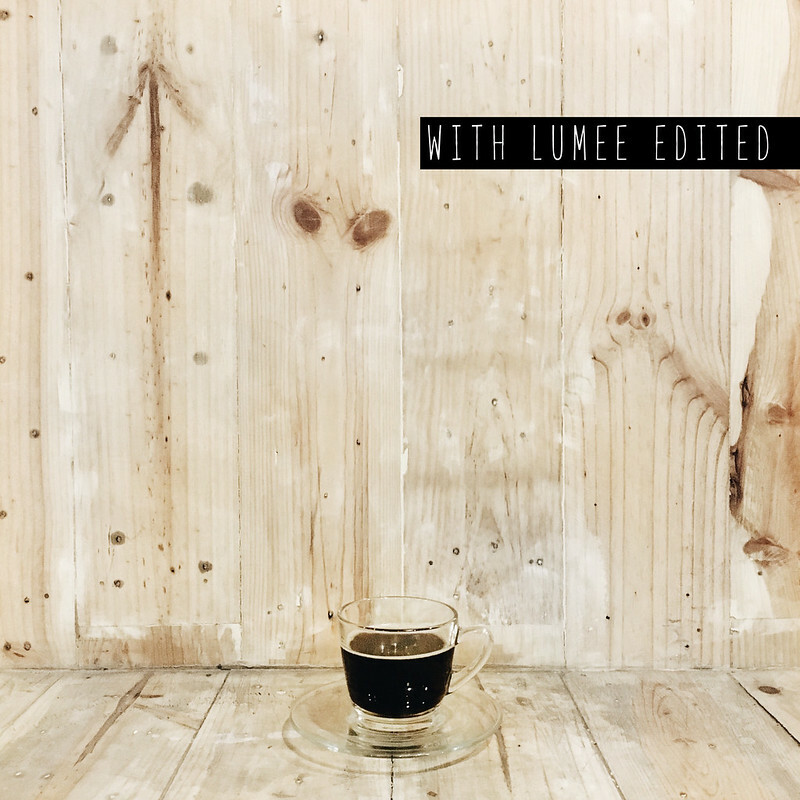 Well lit pictures look better because your camera is able to record more detail thus resulting in photos that look cleaner, brighter, sharper, with accurate colors and more professional looking. Why not use my built-in flash? Too much light is just as bad as too little light. The built in flash is often too direct and harsh which results in "burned edges" and an unflattering over-all tone. 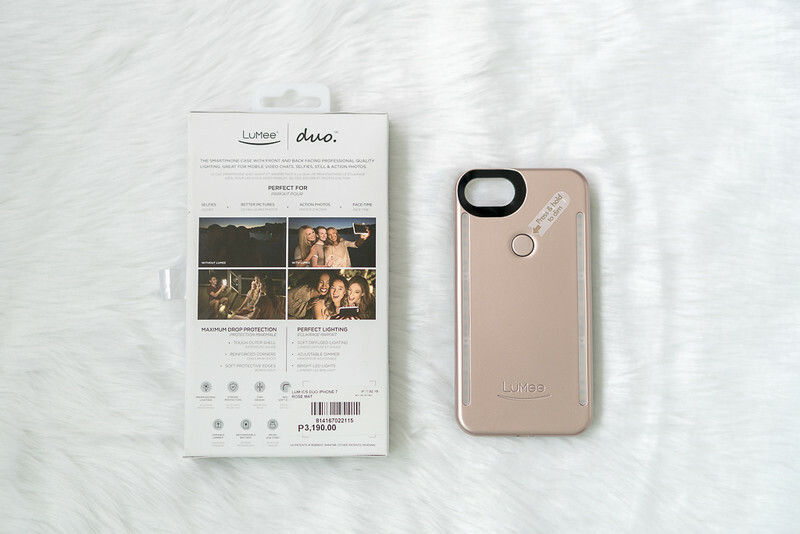 Instead of coming from a single direct source like your built-in flash, the Lumee distributes light around your phone which provides a softer and more pleasant appeal to your photos. 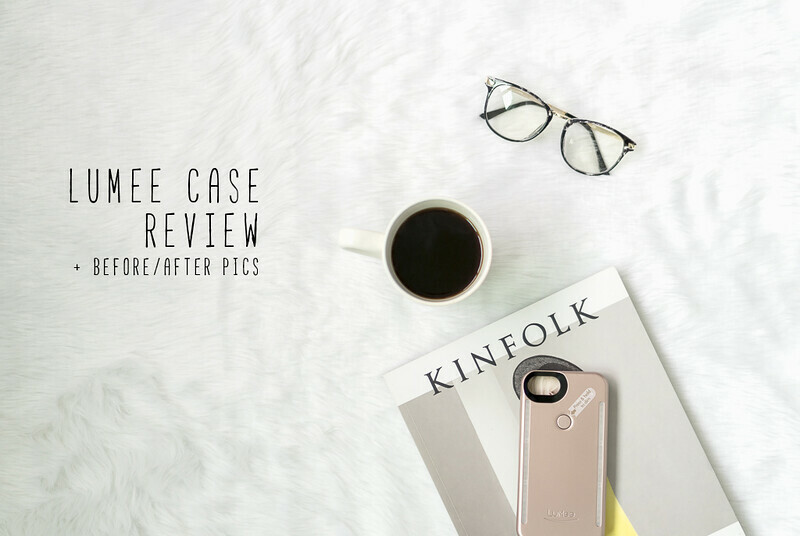 Think of it as portable (and way cheaper) professional lighting/natural light that fits in your pocket! Also love how you can adjust the brightness depending on your needs simply by pressing on the button longer. 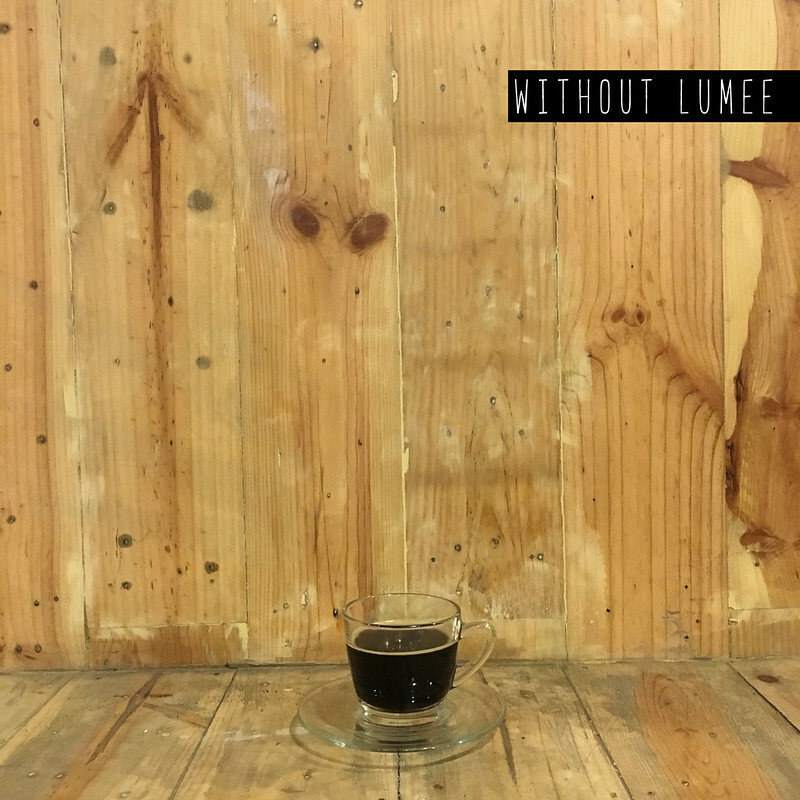 Without Lumee, my iPhone camera has a difficult time capturing the true color of the wood. 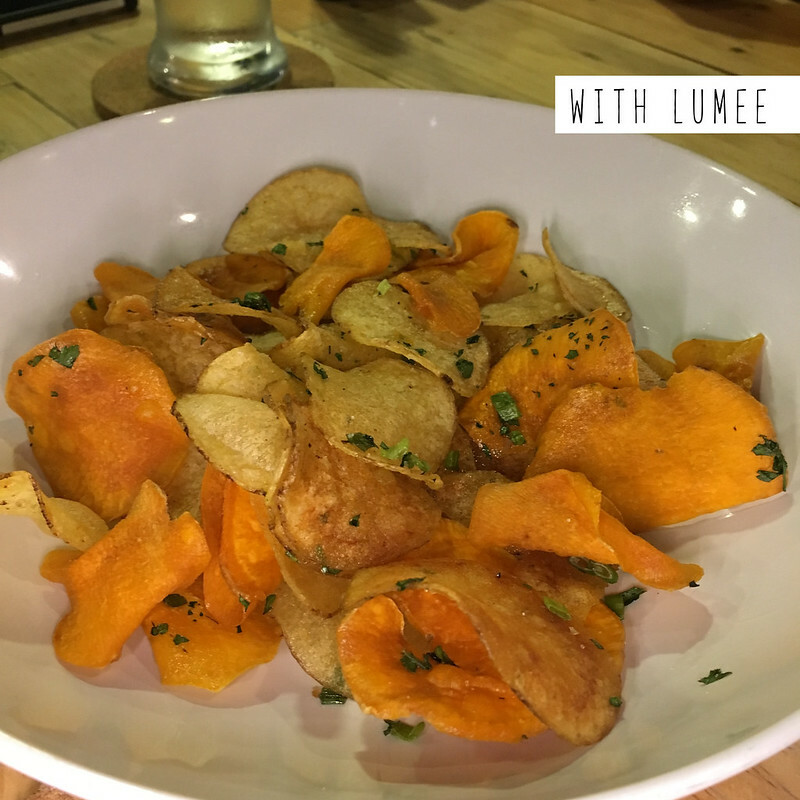 Without Lumee, the chips look dull and unappetizing. 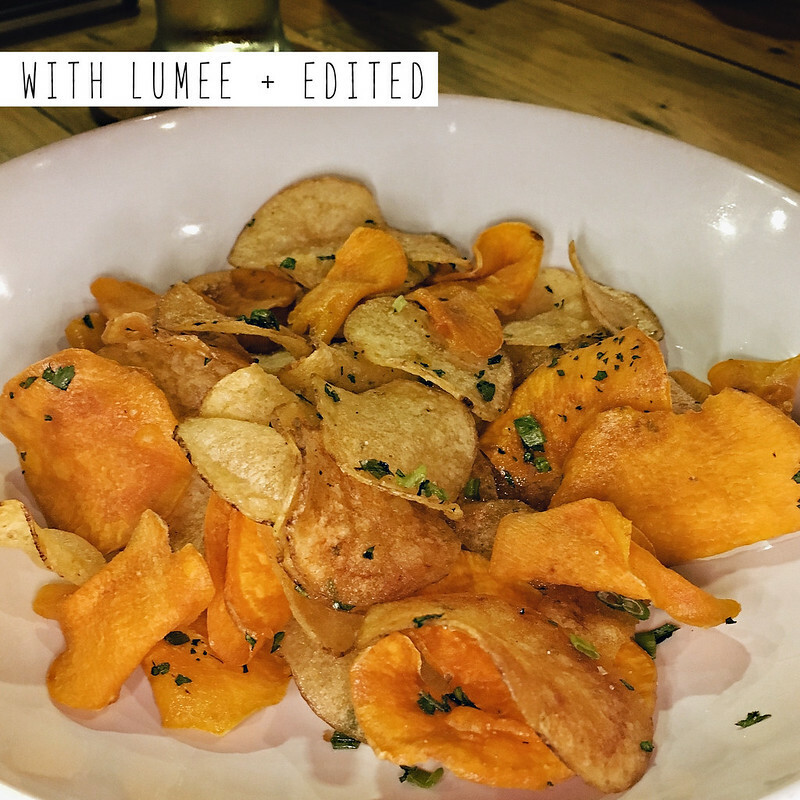 Even with zero editing, it already looks 100% more appetizing with just a little light provided by my Lumee Duo. So much detail is preserved, colors also appear more vibrant and true to life. I'm not so much a selfie person but I've tried it. Let me tell you, once you take a selfie with a Lumee, you'll never take another one any other way. The soft light makes you look so much younger + more flawless. No unsightly shadows that add 10 years to your age. It also camouflages skin discoloration and minor imperfections too. Maybe I'll edit this post with a few selfie pics once I get around to shooting me. Also, it's THE only way you can take decent wefies during dark concerts, festivals, clubs etc. 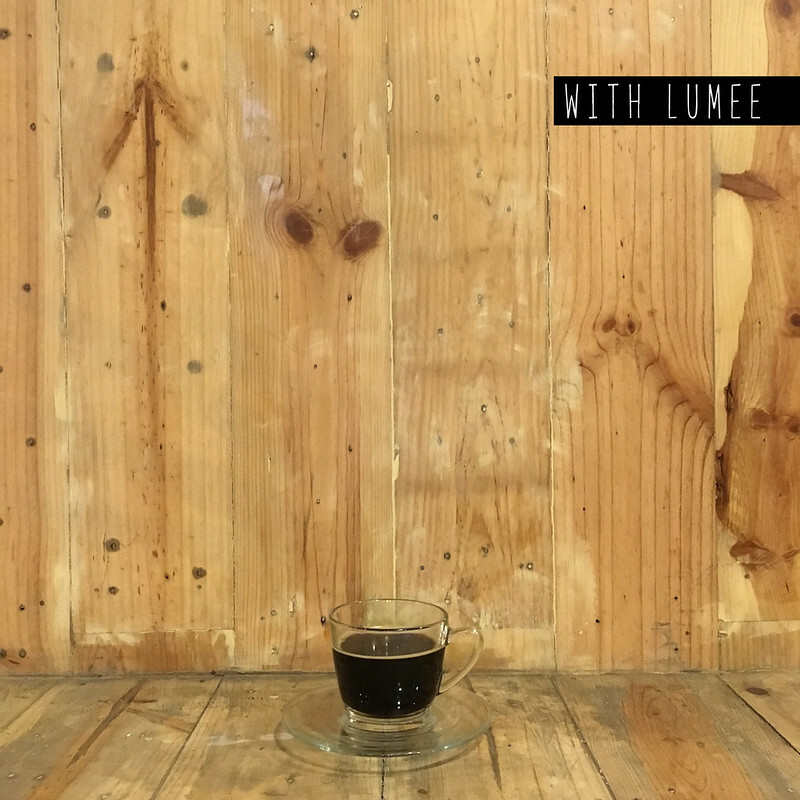 Wether you're into selfies, wefies, flatlays, beauty, food photography, etc, I guarantee, you'll find the Lumee Duo super useful and worth your money. Check it out at all Beyond The Box branches nationwide. Price starts at around 3k. 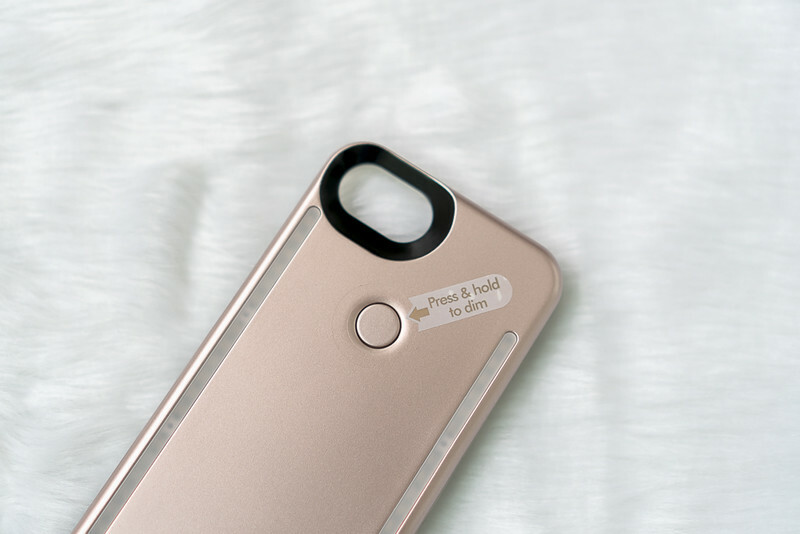 You had me at "you look cuter when you facetime with lumee" :) I'll definitely keep them in mind when I change my case.